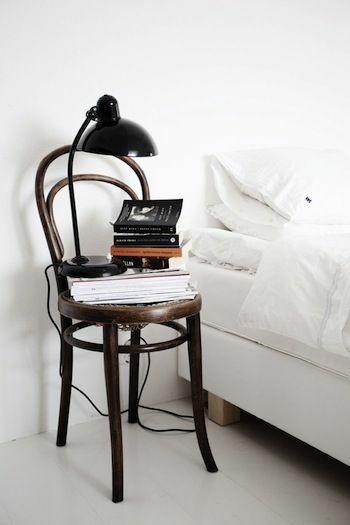 The Thonet chair is so classic. It’s been around for a long time. For me, it brings to mind outdoor European cafes and Liza in Cabaret. I would argue that it’s been around so long because it works in a variety of settings. 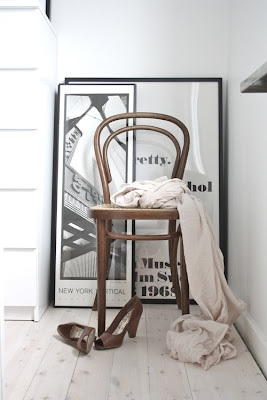 Let’s look at some great ways to incorporate a Thonet chair into your decor. Paint them a bright and unexpected color. Keep them natural and put them around a modern table with strong lines. The Thonet chair is great in small spaces, like this galley kitchen. Mix them with a Saarinen Tulip Table. Dip them in color for an edgy, fun look. 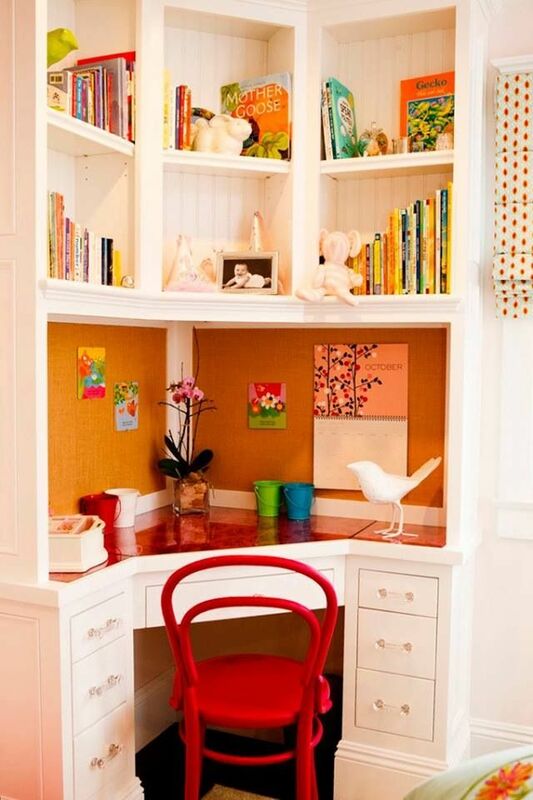 Use a single chair at a desk or workspace. They also make unassuming side tables. All of these great examples of Thonet chairs lead me to my Featured Find – a set of four original Thonet #18 chairs. One of them has the label still attached on the bottom. (You can see where the labels had been attached on the other three). Overall, they’re in good condition. If you’re interested in them, I will send some close-up photos. They can be found in the Pursuing Vintage Shop. 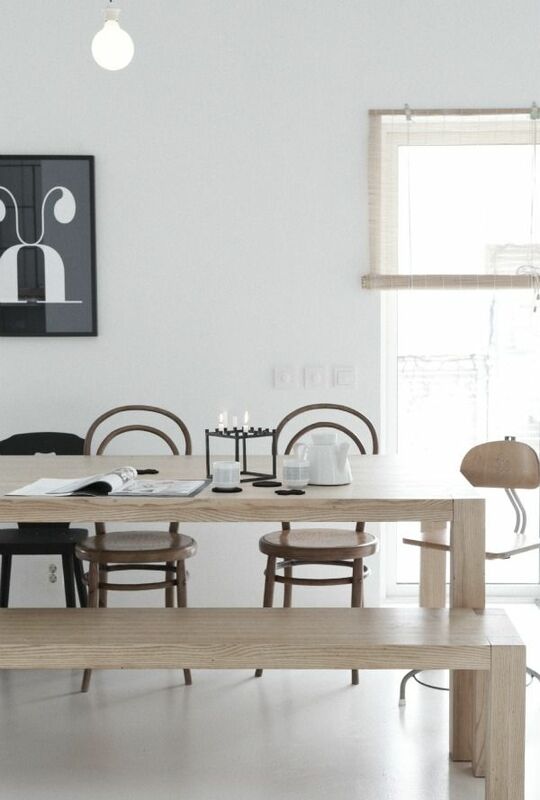 Do you have a Thonet chair in your home? How do you (or would you) incorporate it into your decor? Thonet chairs remind me of Gifford’s ice cream parlor that closed about 25 years ago but was a DC area institution. Every time I see a Thonet chair I can smell the sweet scent of an old-fashioned ice cream parlor. I have a childs thonet chair. It’s adorable. Love your great find!